The winter weather advisory is already affecting travel at Dallas/Fort Worth International Airport. "Airlines at DFW have canceled approximately 200 departures for Sunday, roughly about one-fourth of the full day’s departure schedule," DFW Airport spokesman David Magaña reported in a news release. "As a result, DFW passengers are urged to check with their airlines periodically on the status of any flights scheduled for today." The airport was already prepared for the winter weather, with de-icing crews on stand-by just before 6 a.m., de-icing of planes started at around noon as the system moved through the airport, according Magaña. 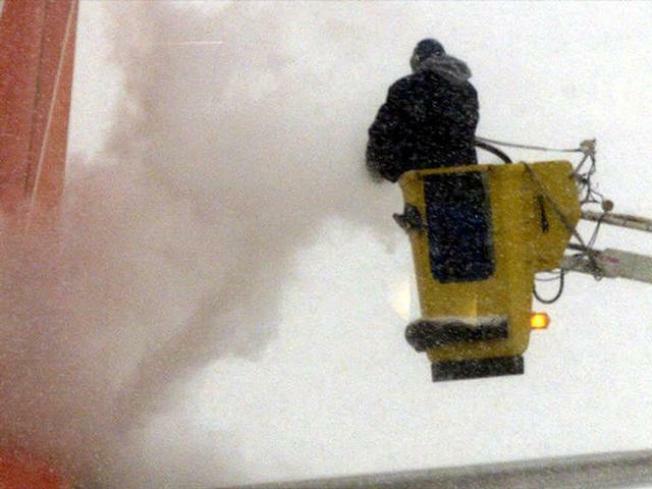 De-icing adds 15-20 minutes of time for each departure. DFW crews are also on standby and will be pre-treating roads leading into the airport, overpasses, runways and taxiways. DFW Airport also wanted to remind travelers of construction at the north entrance of the airport. All traffic heading to the airport from eastbound Texas 114 must exit on Texan Trail and take North Airfield Drive eastbound to access the airport. Because of the weather and construction, DFW Airport urges travelers to allow plenty of extra time to get to the airport.